The Aviation Bonus Program — which was announced on Monday and was formerly called aviator retention pay — represents a considerable expansion of the Air Force's central financial effort for holding on to pilots and some combat systems officers. Until now, certain pilots could only get up to $25,000 per year, and they could only sign on for active duty service commitments of five or nine years, making the maximum total payout $225,000. But now, airmen can choose to sign on for one, two, five, nine, or up to 13 years of service and get annual payments of up to $35,000 per year. The Air Force Personnel Center will start notifying eligible officers on Tuesday. "Pilot retention right now is at crisis levels when it comes to fighters, and we're changing around the way we're doing incentive pay," Heather Wilson, the new secretary of the Air Force, said at a breakfast in Washington on Monday. "But it's not just the money, and pilots tell us this. It's additional duties stuff, it's the deployment rates, and then when they're not deployed, they're still at a very high pace, doing all kinds of training, some of which doesn't really add value. So we're looking at all of those non-mission oriented things to try to improve the quality of life and quality of service for pilots." The Air Force is also planning to increase monthly flight pay, which it calls Aviation Incentive Pay, this summer, though no details about amounts were available. The Aviation Bonus Program spells out seven different categories of pilots and CSOs, called tiers, and what bonuses and contract extensions they may be eligible for if their active-duty service commitments expire in fiscal 2017. 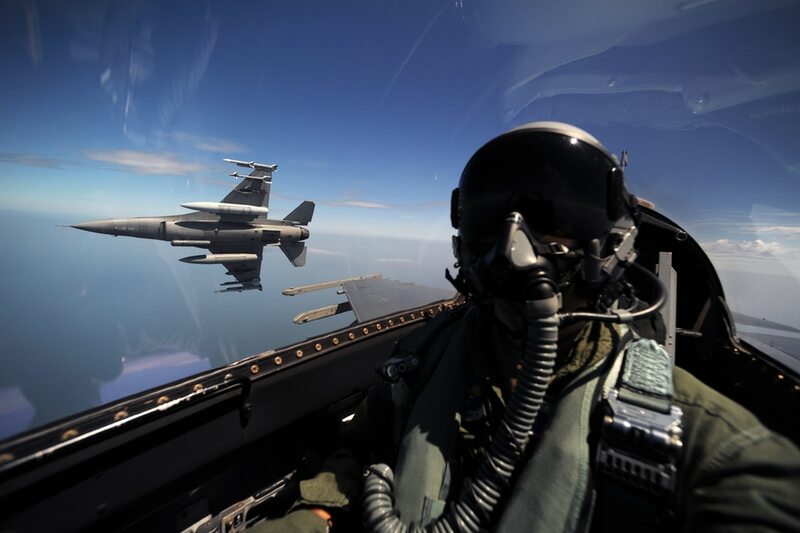 And fighter pilots — the retention of which the Air Force has become increasingly worried about over the last year — are in the top tier, with the most generous bonuses. According to a chart provided by the Air Force, 11F fighter pilots can get $35,000 annual payments for one, two, five, nine, or up to 13 years, which would bring their total length of service in the Air Force to 24 years. In addition, 11B bomber pilots, 11S special operations force pilots, and 11M mobility pilots are in tier 2 and could receive the next-largest bonuses, with annual payments of $30,000 for agreements of one, two, five or nine years. Tier 3 pilots, 11R C2ISR pilots or 11H combat search and rescue pilots, can get annual bonuses of $28,000 for one, two or five years. Remotely-piloted aircraft pilots in the 18X, 11U, 12U and 13U career fields — including those who trained as an 11X manned pilot and then switched into the RPA field — can also agree to sign on for five more years and receive $35,000 per year. Tiers 5, 6 and 7 spell out smaller bonuses for CSOs such as navigators, electronic warfare officers and weapons systems officers who typically operate aboard aircraft. Combat search-and-rescue CSOs can get $20,000 per year for signing up for five more years. The 12F fighter CSOs and 12B bomber CSOs can sign up for $15,000 annual bonuses for five years. And 12S special operations CSOs and 12R C2ISR CSOs can get $10,000 per year for signing up for five more years. Air Force personnel chief Lt. Gen. Gina Grosso told Congress in March that the Air Force was looking to offer more flexibility in its aviator retention bonuses beyond only five and nine years. Grosso told lawmakers that the shorter one- and two-year extensions were a way to "build trust with airmen" that the service is getting serious about trying to fix the problems driving out pilots and other skilled officers. "If they're going to give us a year ... and see if we really mean what we say with some of these quality of life and quality of service [reforms], that gives them a chance to relook, and in another year, say, 'Are we doing better, is my family in a good place, did you do what you said you were going to do, Air Force?'" Grosso said in March. The Air Force said airmen whose service commitments expired in fiscal 2016 or earlier will be ineligible, as are those whose commitments expire in fiscal 2018 or later. Airmen who have been recalled under the Voluntary Recall to Active Duty program, inter-service transfers, colonels or colonel-selects, and rated officers who are medically disqualified from aviation service are also ineligible. Unlike last year, there will be no opportunities for officers who sign up this year to receive half of their bonus as an up-front, lump-sum payment.